day after of deep cleaning our old flat. We looked awful, were exhausted from lugging around furniture and depressed about leaving the much-loved old place and therefore needed food and needed it fast to get through this. The obvious choice would have been the McDonalds which was close by, but that's a tough place to eat at when you have a vegan to cater to. We plant-eating folk get pretty hungry too. So, do you know what we did? Well, sadly, McDonalds still happened. I sipped on a very 'filling' Fanta and tried to look as small and sad as possible while a Big Mac was consumed. Luckily, my hungry-vegan-face must have made my partner feel bad soon enough, as we decided to go to The Little Café as well. Now tell me, are you an average Joe who loves to be treated like a VIP when you're eating out sometimes? Then The Little Café is for you. The owner, Ersan, has a magical balance of personalities, where perfect professionalism is coupled with Glaswegian style friendliness, leaving you feeling like the most valued customer in the place. Adding to this, the cafe is conveniently situated directly opposite Kelvingrove Art Gallery and Museum, providing spectacular views while you're munching on the many goodies The Little Café dishes up. 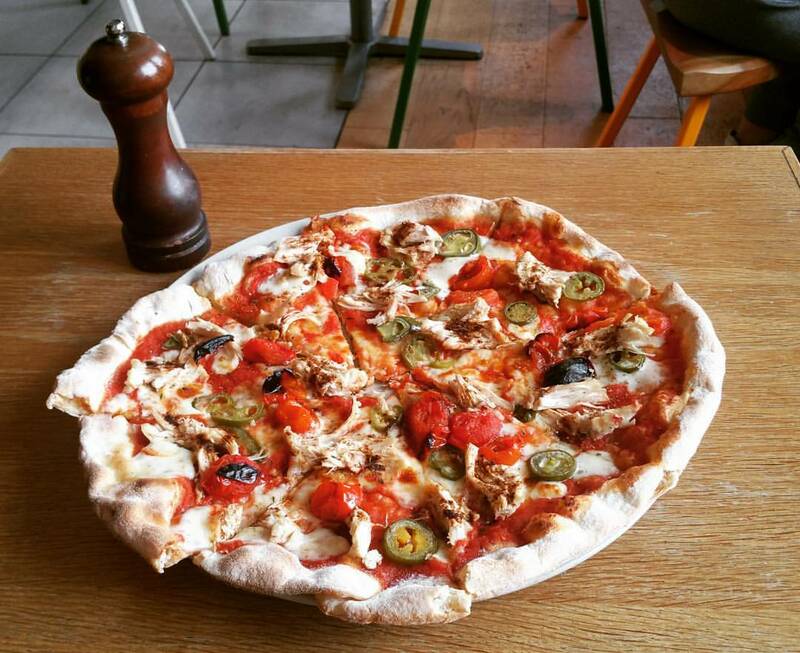 For carnivores and veggies, there's a fantastic selection of freshly made pizzas, calzones and toasted ciabattas with exciting mixes. You have your standard ones, but then there are the really dazzling dishes such as the smoked salmon pizza with wild rocket. I wolfed down the toasted red pepper and hummus bruschetta, which was served drizzled with just the right amount of warm olive oil and salad. All of this went down really well with the delicious coffee served in there. It has a distinct, soft and the slightest of oaty flavours about it. There's a selection of freshly made cakes by the counter, which we didn't have a chance to taste, but they looked delicious. P.S. It's BYOB. Oh yes. Enjoy.